How Much Should I Spend On A Piano? Here we will take a look at all the most important aspects when it comes to purchasing a new piano, and we will help you figure out how much to spend. After much deliberation, you’ve made the decision to purchase a piano. Good for you! But don’t think that you can just run out to the first piano store you see and buy one – make sure to do some planning and comparison shopping first. What is the Purpose of the Piano? Is the piano intended to be used for lessons for family members? If so, you’ll want to choose a piano that is an attractive piece of furniture and fits into its intended destination in your home. Will the piano be used on a stage in performances? This will require a different kind of piano that can easily be moved. Will you be recording music from your piano? You might want to look into purchasing a digital piano if that’s the case. Figuring out how much money you can afford to spend on a piano is the next step. Knowing how much money you can afford to spend on a piano will also help you to decide whether to purchase a new or used piano, as well as the type of piano you will be purchasing. A digital piano is not the same as an electronic keyboard. A digital piano has better sound, has the full range of 88 keys, may have weighted keys and has full-sized keys. Electronic keyboards, on the other hand, are smaller, have fewer keys (usually 61) and may connect to computers via cables. (Some digital pianos are also compatible with computers and may include USB ports). Acoustic pianos are the traditional type of heavier instrument that has been around since the 1700s. 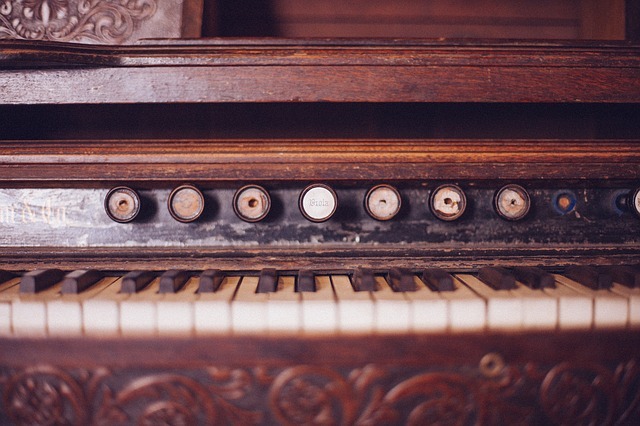 Sounds are created through vibrations when the hammer hits a string in the acoustic piano. The type of piano you decide upon will largely depend upon your budget, its intended use, and what you can find available for sale in the realm of new or used pianos. If you have about $200 to spend: Don’t think that you can’t buy a new piano if you are on a tight budget. At this price point, you can afford to purchase a digital piano like this Alesis Recital 88-Key Beginner Digital Piano/Keyboard. It combines the advantages of a digital piano with the best features of a keyboard, sporting full-size semi-weighted keys, built-in speakers and five premium voices. This is a great choice for beginners who are just starting out and need something affordable and portable on which to learn. If you have from $200 to $500 to spend: In this price range, you can upgrade to a digital piano such as the Yamaha P71. The best digital pianos, like this one, have weighted keys, simulating the feel of the keys of an acoustic piano. This one also features a sustain pedal, such as an acoustic piano has. If you have from $500 to $1000 to spend: You can upgrade to another digital model such as this Yamaha YDP103R Arius Series Digital Console Piano if you have this much to spend on a piano. This piano looks so much like an acoustic piano that it fits perfectly into any home. Keep in mind that it does weigh over 100 pounds and is not as easy to move as some of the less expensive models. If you’re a traditionalist and want an acoustic piano for your family to use, remember that you’ll be buying an important piece of furniture that should fit into your household’s interior design scheme. This type of piano will cost a bit more, however – a fact that is quite significant when deciding how much to spend on a piano. If you have under $1000 to spend: You might be able to find a good used piano on Craigslist or in your newspaper’s classifieds if you have this much to spend on a piano. Any time you purchase a used piano, you should have a qualified Registered Piano Technician check it out before you shell out the money for it, so that you can be sure that you’re getting what you paid for. You should also consider having a used piano professionally moved so that it does not get damaged during moving. If you have from $1000 to $3000 to spend: You should be able to buy a reconditioned piano from a dealer with this amount to spend on a piano. Usually pianos within this price range will be smaller pianos, such as a spinet or a console. If you have from $3000 to $6000 to spend: At this price point you should be able to find a nice used piano or even some new upright pianos, including this Yamaha b1 model. Newer pianos are available in a variety of finishes to complement your interior decor. If you have from $6000 to $12,000 to spend: You can find a variety of new upright pianos from various brands if you spend this much on a piano. A good example is this Wilh. Steinberg P118 model. If you have $13,000 to $20,000 to spend: Baby grand and grand pianos are available if you can spend this much on a piano. Grand pianos are longer than five feet, while baby grands are five feet and under. If you have more than $20,000 to spend: Lucky you! With this much to spend on a piano, you can afford the nicest new pianos on the market (as well as some refinished, restored and rebuilt pianos by the world-famous Steinway & Sons). If you choose to look at a higher-end used model, be sure to check out what the piano restoration houses are selling to make sure you’re getting your money’s worth. New grand pianos, such as this Bosendorfer 208VC, can be priced over $200,000. Another advantage of digital pianos is that they do not need to be tuned. If you have purchased an acoustic piano, however, you must have it tuned every six months or once per year (depending on factors such as the humidity where the piano is placed and its usage). This can cost from $60 to $225, and should only be done by a Registered Piano Technician who is trained in the proper tuning techniques. Conclusion - How Much Should I Spend On A Piano? Making the decision to purchase a piano is an important one, no matter what the reason is for your purchase. It’s good to know that, regardless of how much money you have available to spend on a piano, there are many options available, including both digital and acoustic, as well as new and used pianos. Pretty soon, you’ll be tickling the ivories to your heart’s content!